L. Bučinová studied regional policy and public administration at the Faculty of Economics, VSB - Technical University of Ostrava. She has been interested in issues of economic and social cohesion (structural funds) since 1998. In the same year she joined the Ministry of Industry and Trade, the Department of European integration. Between 2000 - 2002 she worked as a director of this department and her main responsibility was preparation of the industrial sector for the EU Structural Funds usage (creation of OP, setting up mechanisms of implementation, negotiations with the European Commission, etc.). Since 2004, she is the director of RegioPartner, s.r.o., which focuses on the economic and social cohesion policy in all aspects, with an emphasis on evaluation of programs and projects to evaluate the effectiveness of assistance provided by structural aid, impact assessments in the regions, etc. An important specialization is the issue of regional policy and regional development aimed strategically documents, studies and analysis processing. 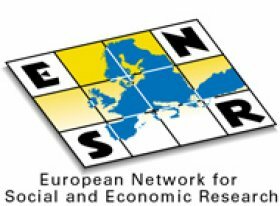 Furthermore, it participates in the creation of methodological system for evaluation of socio-economic events across regions and sectors of CZ using the results of statistical investigation. L. Bučinová has extensive teaching experience, particularly in relation to education in public administration. P. Bučina studied at ČVUT, Faculty of Electrical Engineering and received the scientific degree in Applied Physics. He worked briefly as a researcher at the Research Institute of Aviation. From 1984-2010 he worked in public administration. As an employee of the central state administrative body with competence in industry and industrial manufacturing base he developed, usually as a team leader, methodological apparatus for the purposes of analysing and controling of administrative work. In the years 1991 to 1994 he participated in the development of the methodological apparatus for the financial-economic analysis of state-owned industrial enterprises, set to denationalization. From 1995 to 1998 he worked on the conversion of methodology of financial-economic analysis of state-owned enterprises and developing apparatus for assessment of economic prospects, financial stability and business activities of private industrial enterprises, based on a comparison of financial indicators of a particular subject and normal values in the transformation of the Czech economy for the same size category of industrial enterprises in the same line of business. In the years 1999 to 2002 he developed methods for assessing the economic and innovative potential of areas and risk rate of further development of economic activities of the region's, including methods of casting and modeling data bases for evaluation. In the years 2003-2006 he developed the methodology for regional disaggregation of national statistical data on non-financial indicators of financial sector. The developed method allows through modeling and calculations to quantify field-sized financial indicators of the production sector for the regions of the Czech Republic and all types of smaller administrative or ministerial areas eventually in case ot larger towns and cities. From 2007-2010 he worked as an analyst on the external evaluation projects of the firm RegioPartner assessing the progress in the implementation of structural funds in the Czech Republic. Š. Koděra completed master´s degree in the field of Entrepreneurship at the Business School of Ostrava, plc. During his studies he also participated in scientific activities on information system for students (ISIS). Since 2004 he works also at company EURO Adviser, Inc., where he worked as an analyst and participated in the process of economic analysis and analysis of the manufacturing industry and related services (Production and financial characteristics of the manufacturing industry, 2006 (MPO, 2008), Production characteristics of the manufacturing industry 1997 - 2006 (MPO, 2007), Production characteristics of manufacturing industries from 1997 to 2005 (MPO, 2006); The production characteristics of the service sector 2003 (MPO, 2005), Manufacturing industry - production characteristics from 1997 to 2004 (MPO, 2005)). Since 2007 also acted in the company as a member of the Supervisory Board. In the company RegioPartner, Ltd. he is focused on analytical activities in relation to evaluation projects and studies and processing of statistical data. He also specializes in the evaluation of programs, particularly monitoring and evaluation of indicator systems. Within the company also ensures the functioning of information of technologies, web pages and questionnaire surveys. J. Dužár graduated with honors at the J. E. Purkyně University in Usti nad Labem in the field of geography with special focus on the implementation of regional development and policy of the CR and EU and the use of geoinformation systems (GIS) in public administration and evaluation of landscape potential. In the years 2009 – 2010, he participated in a yearlong learning internship at Anadolu University in Eskisehir, Turkey, studying European integration and statistical survey of the internationally composed focus groups. In his own research, he focuses on the application of geoinformation tools for modeling of natural processes and complex analyses of socioeconomic indicators and landscape potential for regional development. His strengths include excellent communication in English (both oral and written form), analytical experience in working with GIS software and interest in database systems and SQL language. In RegioPartner, Ltd. he specializes in the strategic planning and evaluation activities of program and development documents and data support for spatial, regional and urban development. Jan Ženka completed master´s degree in the field of regional geography at the Department of Social Geography and Regional Development, Faculty of Science, Charles University, where he, since 2007, has pursued PhD degree in human geography and regional development.In his academic research he focuses on issues of relocation, upgrading and general impact of the development of manufacturing industry in the Czech Republic. He participates on two grant projects) aimed at research of automotive industry upgrading in the Czech Republic and in the Slovak Republic and the contribution of foreign investors to technological development and economic growth at local level. He participated on creation of thematic industrial maps for the Atlas of the Czech landscape and is an author of numerous articles and studies in the field of industrial geography and industrial policy. Since 2005 he works in the company RegioPartner, s.r.o. as an evaluator, an analyst, and a methodologist. He focuses on evaluation of regional strategic development documents (indicator systems and methodology of assessing regional competitiveness, economic and innovative potential. K. Machovcová graduated in psychology at the Faculty of Social Studies at Masaryk University in Brno, where she also completed her PhD studies in social psychology and where she participates in teaching in the field of gender studies. For long time she focuses on different ways of equal opportunities implementation in the labour market, particularly in the context of women, migrants and parents.She cooperates with many NGOs on projects of research and educational nature in the field of corporal equality and diversity programs implementation and integration of risk groups in the labour market. She is an author of articles dealing with gender equality and human resources. She cooperates with RegioPartner, Ltd. since 2008. She has participated in projects: Assessment approaches of Czech and international development partnerships in the EQUAL application of the horizontal theme of gender mainstreaming, Study on non-legislative Initiatives for companies that promote gender equality at the workplace and the annual operational evaluation of the OP LZZ 2009". V. Hruška is currently a student of the combined doctoral study of Regional geography and regional development at Masaryk University in Brno, where he also completed master's degree in the same field. In the years 2007 - 2009 he dealt with the grant guidance and strategic planning, also collaborated on projects of spatial analytical documentation for a wide variety of administrative districts of municipalities with extended powers. In the years 2010 - 2011 he completed a ten-month research stay at the Leibniz Institute for Regional Geography (Leibniz-Institut für Länderkunde) in Leipzig, Germany. Since 2011, work in the company RegioPartner Ltd. within which he specializes in strategic planning and rural development, evaluation of operational programs and other activities related to regional development and support.